There is usually a long consideration period before you buy a mattress because of the size of the investment. As a result of this significant investment, you should take the necessary precautions to protect it with a mattress protector. Because mattress protectors are generally affordable, it means that there are hundreds of choices in the market and while this is a good thing, it also makes it difficult to decide what the best mattress protector is suited to you. We’ve created this easy to follow buying guide that not only has mattress protector cover reviews but also details what qualities you need to look for. This mattress and pillow protector set is one of the best available on the market and has multiple benefits to improve the quality of your sleep. The mattress protector has a Polyester filled centre which works to absorb excess moisture, and the Coolmax top layer disperses heat away from you to keep you cool throughout the night. The mattress protector also has a waterproof TPU layer to keep your mattress dry, even if you spill liquid on the protector. It is also extremely versatile, and its 35cm drop skirt means that it can fit a vast range of mattress depths. Also, the protector is exceptionally smooth and soft giving you the utmost comfort. Made from 100% Polyester, it can be machine washed and comes with a 2-year warranty. It also comes in a broad range of available UK and EU sizes from small single up to emperor. The White Company have been around for a considerable number of years and have established themselves due to high-quality manufacturing products that are built to last. This luxury mattress protector is no different, made from Cotton the material is finished with a sanitised hygiene treatment which repels bacteria and dust mites so they won’t settle in your bed. The protector also has layers of plush Cotton which makes it soft and comfy to touch and lie on which enhances the quality of your sleep. The protector can be machine washed and tumble dried, while also coming in a range of sizes including cot size and emperor with all the sizes in between. Despite having a thicker quality feel, it is also breathable, so you don’t end up overheating throughout the night. 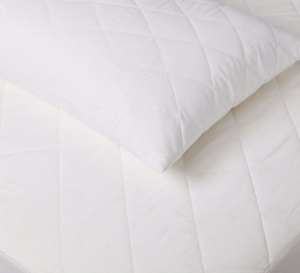 This mattress protector is made from a combination of high-quality Cotton terry towelling and a Polyurethane reverse. This makes it waterproof which is great if you frequently have liquid accidents on your mattress. The micro fresh technology also prevents the development of odour causing bacteria and germs which ensures that it remains fresh, and keeps you healthy. The Polyurethane material is also a great noise isolator so the protector won’t make noise when you move around the bed when you’re sleeping. The mattress protector is also machine washable so you can easily remove it to be washed and also included is a 2-year warranty which is outstanding for a product like a mattress protector. This protector is available in a vast variety of sizes ranging from single small up to super king. This set of soft touch pillow and mattress protector have a microfibre casing to give it a smooth and soft feel while also having a microfibre filling which offers an added layer of softness. This is ideal if your mattress is slightly too firm as this will cushion the impact. 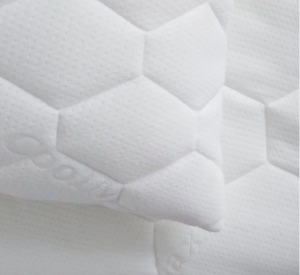 The mattress protector is also quilted and waded to give extra comfort while also having a snug fit to your mattress, so you will barely even realise that it’s there. This set allows you to keep your pillows and mattress fresh for longer and protect it from dust, dirt and moisture. The set comes with a 1-year warranty against any defects that develop and are also machine washable. This Highliving mattress protector is constructed using a miracle membrane protection which gives it a waterproof quality while also being air porous allowing easy airflow in and out of the fabric plus it is incredibly smooth to lie on. Its absorbent nature makes it great for children's beds if they’re still in the bed wetting stage. The protector has a 3 sided zipper system which is easy to use and protects against allergens. Also, it has a buglock with a secure seal which protects against bugs and mites. The protector is machine washable so you can regularly give a clean with no hassle. The zipper provides your mattress total protection which will extend its overall life. If you don’t want to keep removing it to wash, then you can also wipe it down with a soft sponge and antibacterial spray. It does it exactly what the names says and protects your mattress, and have the minimum requirement of protection against liquids. What separates the average from the best is the additional features. Why should you buy a mattress protector? Using a mattress protector will extend the life of your mattress as you can protect it from potential liquid spillages and accidents. It is also suitable for protection against children who are prone to frequent bed wetting. Mattress protectors often have hypoallergenic qualities ,so this is ideal for people who are allergic to dust mites and other microbes. It’s common that a mattress protector has an inbuilt layer, usually of Polyurethane, that helps to give your mattress a waterproof shield. 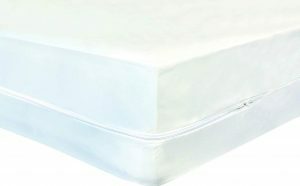 This stops any liquids from making it through the sheet and hitting the mattress where permanent damage can be caused. Also if you get liquid on to your mattress, this can void the mattress warranty in some cases which makes it even more important to take the necessary precautions to keep fluids away from it. If you get liquid onto your mattress, it’s difficult to dry and can take a long time to evaporate completely. Because the mattress is under the sheet, this minimises the level of air flow which can lead to damp developing which can lead to mould. Nobody wants to spend time leaning over a sink washing a sheet by hand because it’s not washing machine compatible. 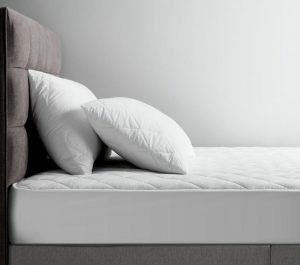 Let's face it; you spend so much time in your bed that it will quickly pick up bacteria which means that you’ll need to wash it regularly, so it’s important to choose a mattress protector that is machine washable. This not only makes it easy to clean but encourages you to wash it more frequently, keeping your sleep environment free of dangerous bacteria build up. This is important even if you don’t suffer from allergies because it will also help to prevent you from developing issues with allergies. It also stops your mattress from harbouring germs and other harmful bacteria. 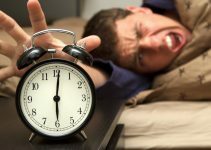 This will mean that your mattress lasts for longer and you won’t need to pay for expensive mattress cleaning services. 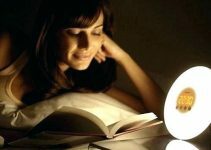 Think about it like this; it’ll stop you from lying in a pile of germs and mites each night, which you don’t want to do regardless of whether you suffer from allergies. Sleeping can often cause people to overheat throughout the night especially if heat is not dispersed effectively. The best mattress protectors may also have the benefit of promoting air flow which will remove heat and bring cooler air into the mattress which then regulates your body temperature. If your mattress stays too hot, then this can begin to develop a smell which can make it uncomfortable to sleep on. A mattress protector functions in a different way to a mattress cover. A mattress protector needs to cover as much of the mattress as possible to provide coverage and protection. The size of your bed will determine the size of your mattress protector with the protectors comes in a range of sizes to match. Because of their low price point, the majority of mattress protector manufacturers don’t include warranties. However, this does separate the good products from the best when there is a warranty as this shows that they believe in the build quality of the product. John Lewis is an example of this who provide a 2-year warranty with their protectors. 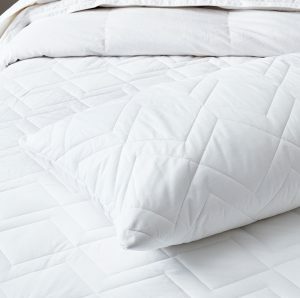 This is the most common type of cover and slips on and off easily and works to protect the mattress. They don’t offer full coverage of the mattress which means that they can’t entirely prevent bed bugs. However, fitted mattress protectors are effective and stopping allergic reactions and spillages. Are ideal if you want full protective coverage against bacteria and other nuisance bacteria from your bed. Once you fit it to your mattress, they are then sealed using either velcro or a zipper to provide full protection. These are the least common option and are similar to fitted sheets excepts they only provide protection for the top of the mattress and not sides. It means that they struggle to prevent dust mites and bed bugs from forming. Bed bugs are one of the worst types of pests that you can get in your home, and once they get in it’s difficult to get rid of them. They aren’t a permanent problem, but it can take several weeks to get a professional to deal with the problem. A mattress protector that has a full encasement may be the ideal solution because it has an inbuilt zipper lock which allows you to seal your mattress closed entirely. It not only means you can protect your expensive mattress from bed bugs, but also other allergens and mites. You still want something that’s comfortable to lie on; however, if you already have a comfy mattress, then you will still be able to feel this through the mattress protector. The recommended pore size is 8 microns as this will stop irritants, mites and bacteria from getting through the mattress. Mattress protectors come in many different fabric types with each having its pros and cons, and its effectiveness will depend on the buyers' needs and personal requirements. Cotton is one of the more popular types and has a denser, firmer feel while also often being hypoallergenic. There are also organic options for the environmentally conscious, while there are woven alternatives that protect against allergens and mites. If you’re on a budget, then a Polyester mattress protector could be the ideal choice. They're constructed with a Polyester shell and accompanied by a Polyester fiberfill. You also get waterproof alternatives which have a vinyl layer blended on top of the Polyester. Polyester protectors also come as fitted, zippered or strapped types. Down is naturally a soft material but is often thicker because of the Goose Down material. This means that in addition to protection, they provide added comfort to make it luxurious to sleep on. Be sure to check whether its genuine Goose Down or a synthetic alternative as this will affect the quality. If you need added protection from liquids, for instance, if you have a bed wetting child or you have frequent spills then a vinyl mattress protector could be best suited to you. Vinyl offers robust protection and also prevents the development of mould and mildew. Vinyl is also easy to clean and can be just wiped down. Having a mattress protector is recommended especially if you’ve just bought a new mattress as it will protect and extend its life. Not only will it protect your mattress but also improve your health as it repels bacteria and dust mites. So now you can choose the best mattress protector and be sure that you’re making the right choice.